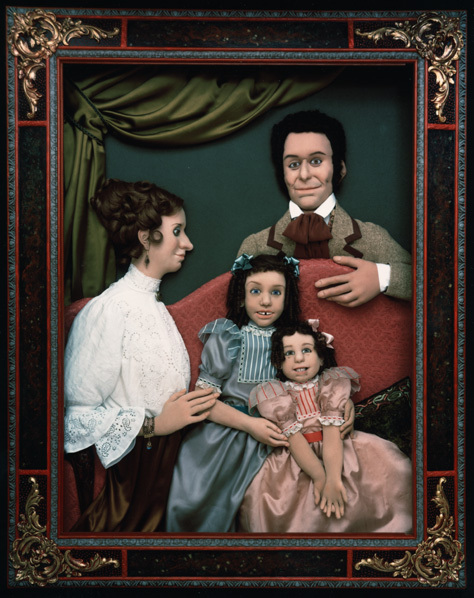 Victorian Family Portrait: Commissioned family portrait in soft sculpture bas-relief in a carved wood frame with glass front. 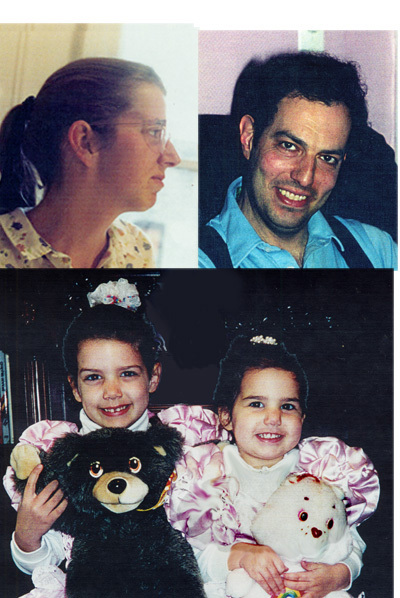 Figures are life size, sculpture is about 4' tall and about 3" to 4" deep. The piece appears to change as the position of the viewer changes, and as the light changes. 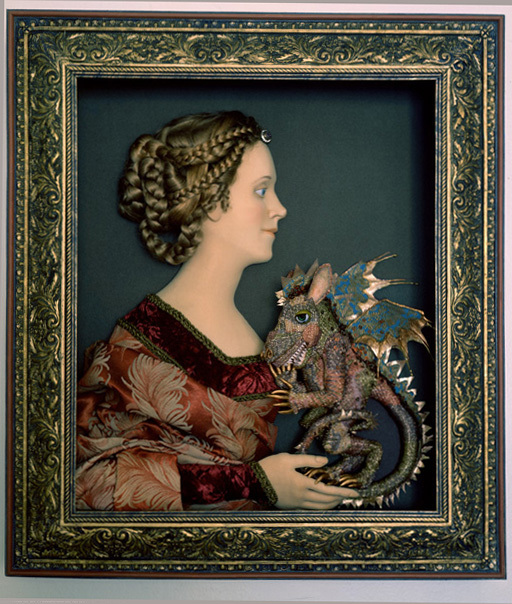 Renaissance Lady with Pet Baby Dragon: life size Soft sculpture bas-relief in carved wood frame with glass front. As many classical portraits show ladies with pets, dogs, ermines, etc, it seemed like a good idea to give this one a dragon, especially since noble ladies have quite a lengthy connection with dragons in song and story. Portrait of the Artist as a Young Mermaid: This life size sculpture used the artist as a model, making a mold of her face and body, from the hips up. The cast was refined somewhat, and a special composition positive to positive cast made, to make an extremely light and strong figure. The skin was painted, wig, tail, trident added. 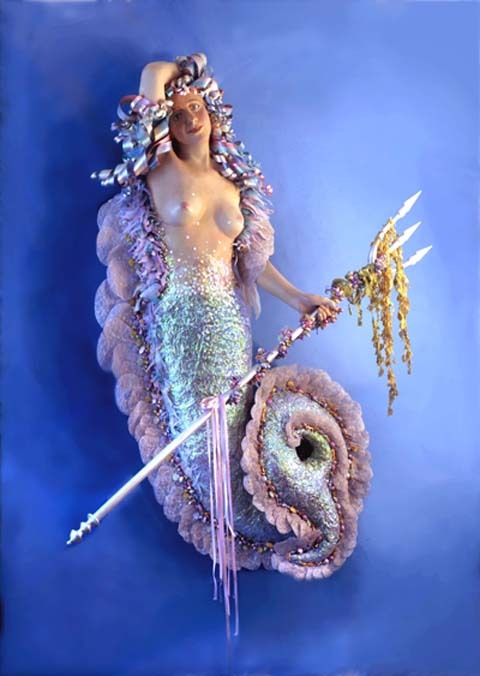 Mermaid 2 is the same original sculpture as Portrait of the Artist as a Young Mermaid, but redone with paper sculpture hair, iridescent mylar tail, wired lace and chiffon tail frills, and assorted sea-life type decorations. 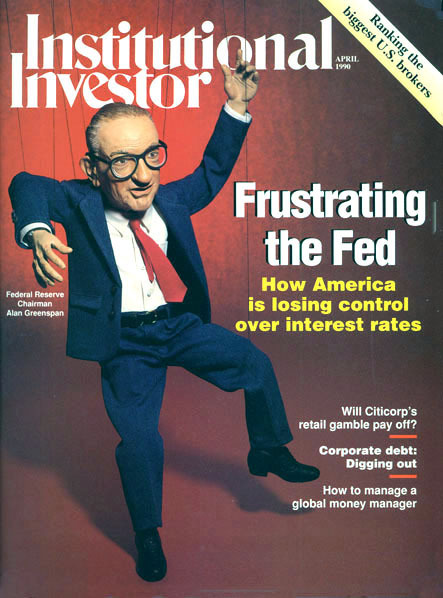 Celebrity Portraits: left, Alan Greenspan: being manipulated by foreign currencies, 28" tall marionette sculpted in doll clay, dressed in fabric suit. Done for financial magazine story. 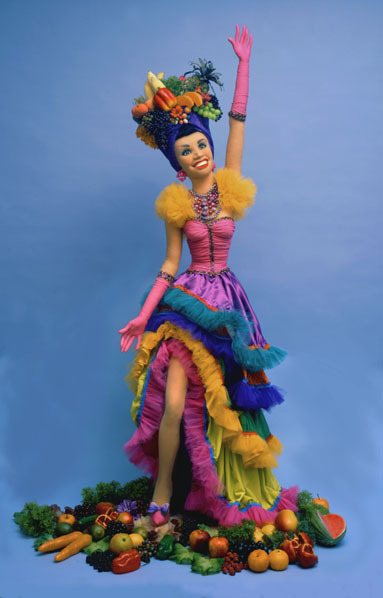 Right, Carmen Miranda: life size soft sculpture, done for Fortunoff window display advertising summer fruit and flower themed merchandise. Commissioned portraits: left, Peter Landau, the editor of Institutional Investor Magazine, a parting gift from grateful publisher and staff. 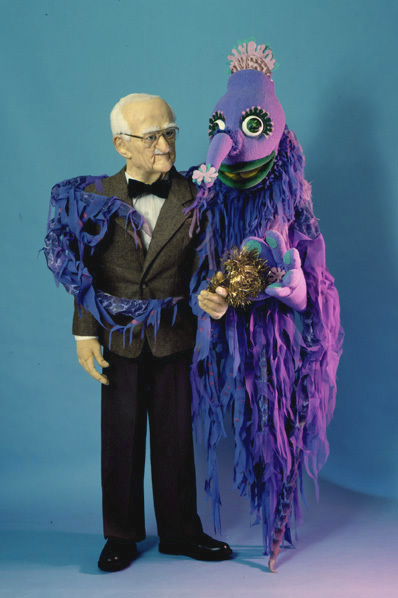 Figure is 1/3 life size, sculpted in doll clay, dressed in fabric clothes. 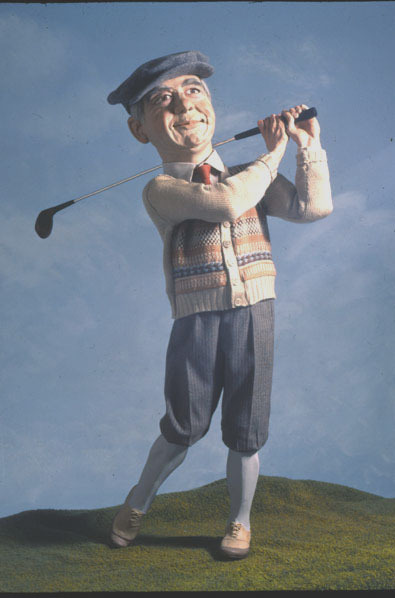 He is portrayed playing golf, his favorite pastime. The CEO of the Prudential Life Insurance Company as a piece of the rock. 1/2 life size face, carved in wood, set, Mt. 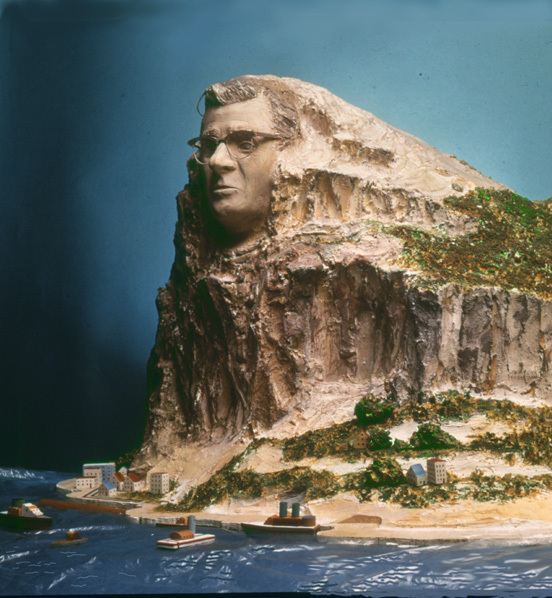 Rushmore style, in "Gibraltar" made of wood and sculptor's plaster.